 Flakvagn "XMAS" "Julvagn 2017"
By buying this product you can collect up to 335 bonuspoints. Model: This is a low side car loaded with the logo 'XMAS' made of laser-cut architectural quality cardstock. Length over the buffers 54 mm / 2-1/8'. 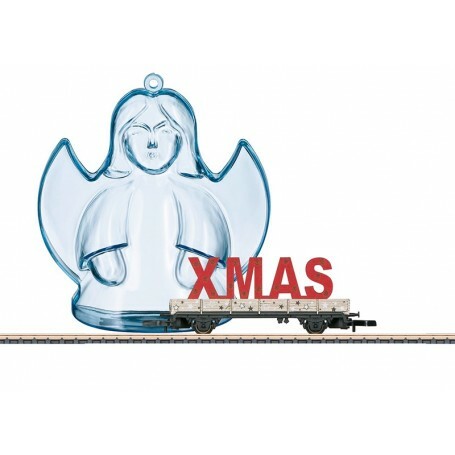 This Christmas car is presented in a clear angel with one-half done in transparent blue. This can be hung on a Christmas tree with the help of the cord included with the car.